Clearly he's got mad skills. And yes, school and homework are always first with Boyo, where's he's also excelling. Boyo had some fun at the friendly Dover NH competition in late April, the New England SC2 League Season 1 Grand Final, his first event. He went on to win the New England SC2 League S2T4 Qualifier back in August. The last week of October, he became Grand Master, the same week he turned 15. 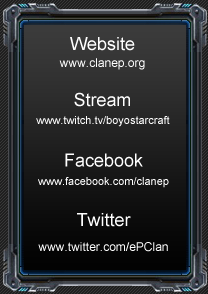 And now, this weekend on November 6th, he'll be competing at the New England SC2 League Season 2 Grand Finals in Storrs, CT, here's the live stream, and the bracket. Finally, November 19th, it's off to nearby Providence, RI, for the MLG Providence StarCraft 2 event, where he'll be with some of the best players in the world. Amazingly lucky that this international event is close by. 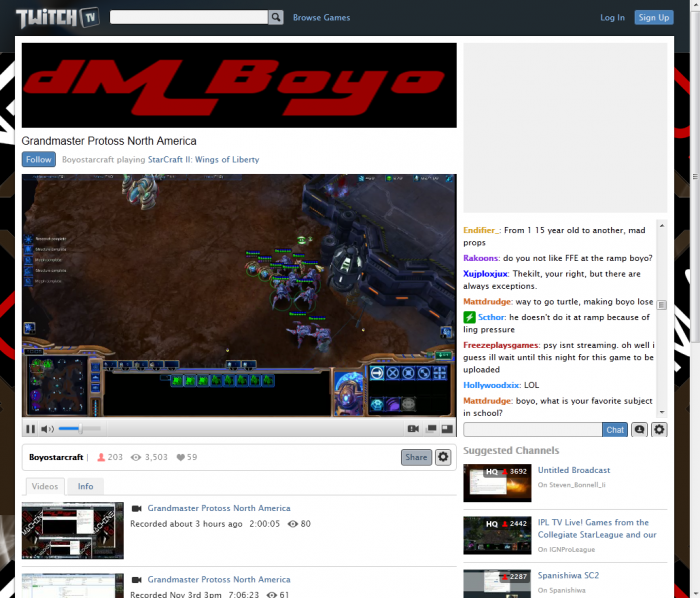 Show your support by following Boyo at twitch.tv, see also dMBoyo Grand Master ranking history, updated here as well. I think of this competitive sport as a modern day equivalent of him competing on a high school sports team, where the best varsity players travel to national championships. I'm quite proud, and a little nervous, like any parent would be, in the face of their kid facing intense competition. But all indications are that he isn't letting any of this get to him, and can apparently handle himself quite well. And the support of the community is just so inspiring, and the science so interesting. Drogith, founder of the New England SC2 League, has made an intriguing post, see Topic: Canada and US semi-pro League?